American Honda Motor Company will recall almost 800 vehicles containing malfunctioning brake lights. 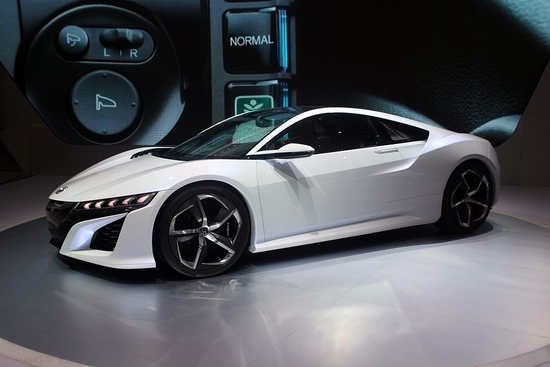 The Torrance, California-based manufacturer notified the National Highway Traffic Safety Administration (NHTSA) on Sept. 7, 2018 they will recall 793 2017 Acura NSX vehicles built between March 21, 2016 and July 31, 2017. Normal road vibrations can shift and move the metal screws securing circuit boards within the affected vehicles’ high mount stop light assemblies. If those screws contact circuitry when the driver uses the brakes, the circuit will short and blow the corresponding fuse. This will deactivate the brake lights, increasing crash risk and throwing the vehicle out of compliance with federal motor vehicle safety standards. The blown fuse will also keep the vehicle from restarting as well. If you are an owner of a lemon Acura, contact Allen Stewart’s team of experienced lemon law attorneys today. Honda first received reports of vehicles not starting in June 2017. Honda began an investigation alongside the assembly’s manufacturer, Stanley Electric of London, Ohio. After Stanley Electric linked the failure to short circuits, Honda’s investigation ruled out the vehicle’s body assembly as a contributing factor. From August to September 2017, the supplier provided updated assemblies and provided analysis suggesting contact between the metal screw and circuitry could cause the short circuit. Testing continued throughout 2018, and Stanley Electric eventually redesigned the assembly. Honda decided on Sept. 4, 2018 to conduct a safety recall. Honda will notify owners and dealers will replace the center high mount brake light, free of charge. The recall is expected to begin Nov. 6, 2018. Owners may contact Acura Client Relations at 1-844-682-2872. Honda’s number for this recall is B2B. Honda consumers can also visit the NHTSA’s website, and enter their VIN to see if their vehicle is included in any recalls.